I've been told there was snow and ice last weekend at home, or so I assume, because I'm in San Francisco right now. 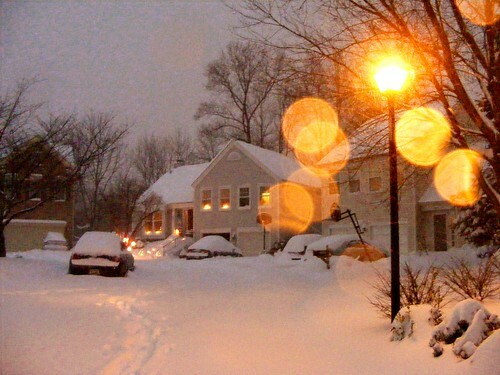 Before that, I was in Los Angeles, which hasn't even seen a trace of snow since 1962. But the blizzard a couple of weeks ago was my ten-year-old brother's first, so as soon as the snow stopped - this was Sunday morning, I guess? - he had me out in the yard plotting our attack on the white stuff. 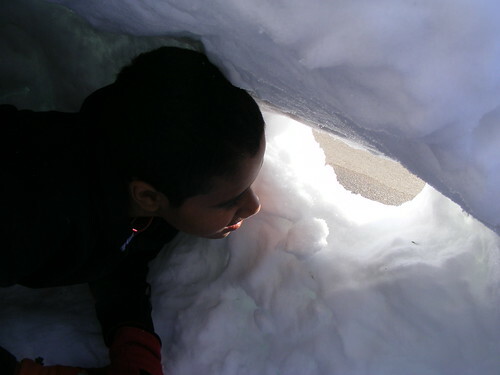 First on the agenda (after a snowball fight) was building an igloo. 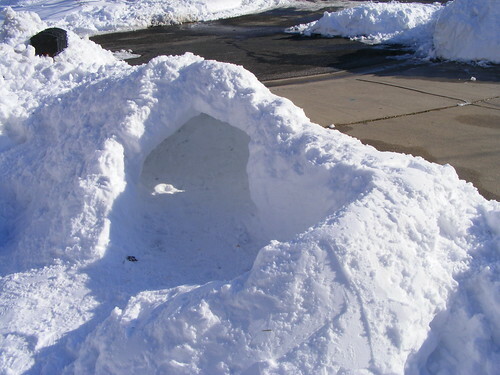 "Igloo" is an inaccurate term because we did not build out of blocks of snow and ice. But the term "snow fort," especially when applied to things like this snow structure in Columbia Heights that doesn't have a roof, a window, and an escape hatch, doesn't seem accurate either. A combination of snow plow (I'm sorry, East County, my street was one of the few that got cleared early on) and driveway shoveling had created some pretty impressive snowbanks next to the house. 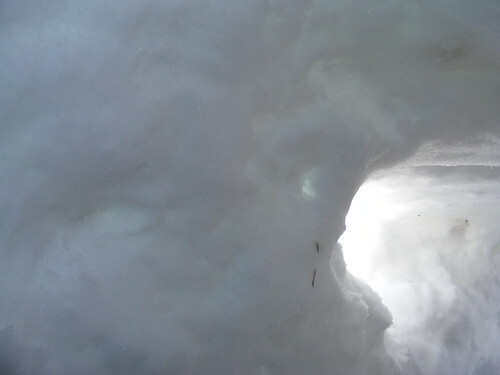 We created a little patio area with some lower snow walls and then piled snow on top of the bank, which we pressed down and hollowed out to create a covered room big enough for the two of us to at least occupy, if not sit up in. The igloo. We piled snow atop a snowbank cleared from our neighbor's driveway (right) and hollowed it out. In front, we've got a lovely forecourt for accepting guests. My brother looks out the window. While it was part of the original igloo, an "escape hatch" (for escaping from outside) was added later. 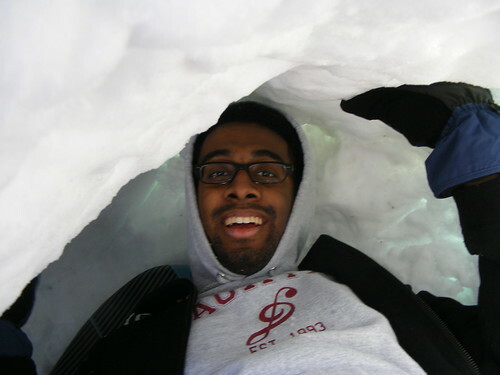 The igloo was just large enough for my brother and I to occupy it together, though there wasn't much moving around inside. Overzealous digging near the window made the snow-walls thin near the window. While this created concerns about structural integrity, it also allowed light to pass through. 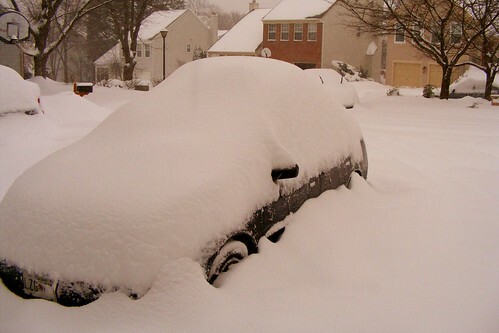 The official Just Up The Pike car sits under the snow. Great pictures! As far as I'm concerned, if it has a roof it's an igloo. If it just has walls it's a fort. The definitions would probably be different if this were Alaska, but it's not.